Abstracted tree arises from the floorboards to 28’ high. 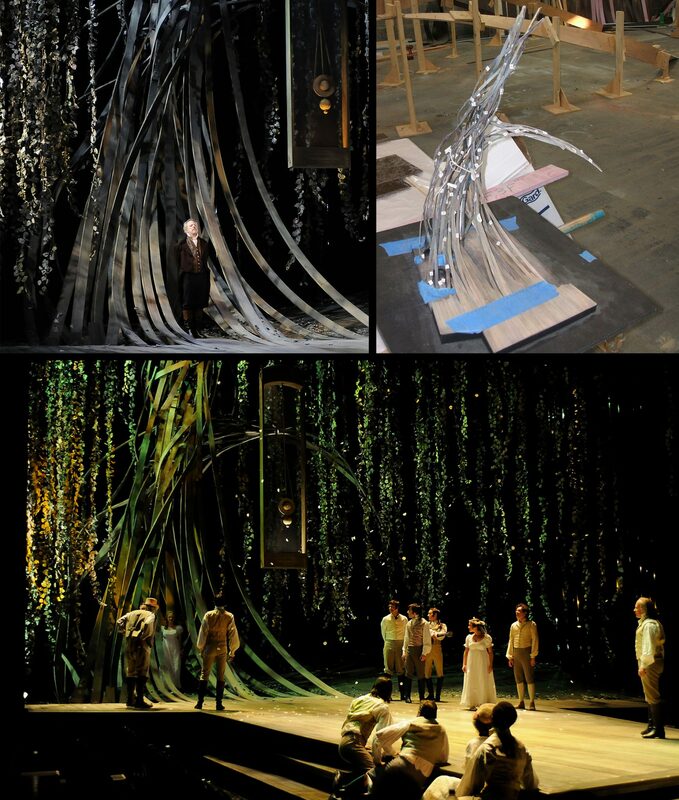 The deck and morphed tree were fully teched, dismantled and labeled in our shop for ease of onstage setup. Large clock fabricated with motorized pendulum.